WASHINGTON — Are you thinking about tax time yet? It’s not too soon. For most of us, it means a refund, and a dilemma often accompanies the windfall: Should I blow it on something fun or use it wisely? Of course, you should do something responsible with the money, and most Americans responding to a Bankrate.com survey say just that: 84 percent said that they’ll use their tax refunds to pay down debt (30 percent), save or invest the money (28 percent) or use it for necessities (26 percent). Only 7 percent say they’re going to splurge on a vacation or a shopping spree. Three percent of those surveyed overall took out a refund anticipation loan. For people with incomes of less than $30,000, that number jumps to 6 percent. Greg McBride, Bankrate’s senior financial analyst, says that’s a dangerous trap that you really need to stay out of. “Here is what that really means: You gave your money to the government for free all year and now you need it back so quickly that you’re going to pay a high interest rate just to get your own money back that you could have had all year,” McBride said to Bankrate. And 3 percent say that they’ll put their refund into multiple accounts, including an IRA. “I find that troubling, considering how woefully under-saved for retirement our society is,” McBride said to Bankrate. Open a separate high-interest savings account separate from your everyday checking account. 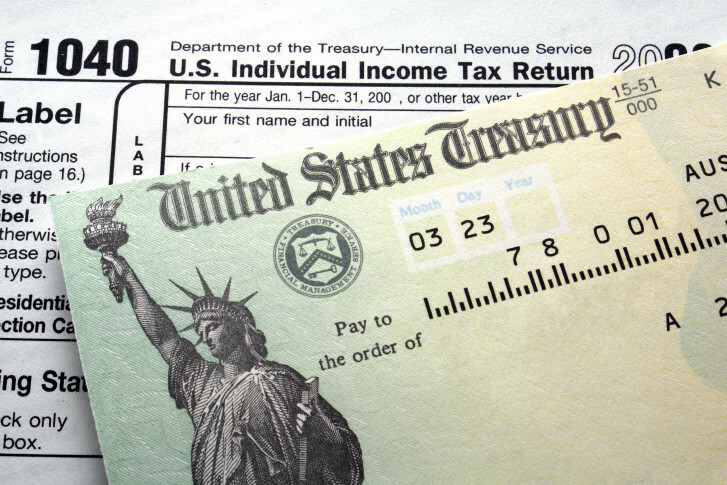 “The tax refund is the biggest windfall people are going to get all year,” McBride said to Bankrate.